Grow Our Own Teachers is a leadership development and pre-professional program for students ages 16-22. 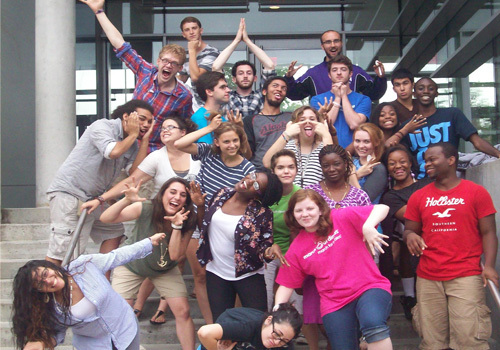 We hire 50 local high school and college students to serve as teaching fellows and tutors to middle school students. Our teaching fellows are mentored by seasoned professional educators who train them in both theoretical and practical teaching methodologies. All teaching fellows are given real responsibilities to plan and teach lessons, plan projects, evaluate students, and develop meaningful relationships with students and families. Apply to be a tutor or teaching fellow.